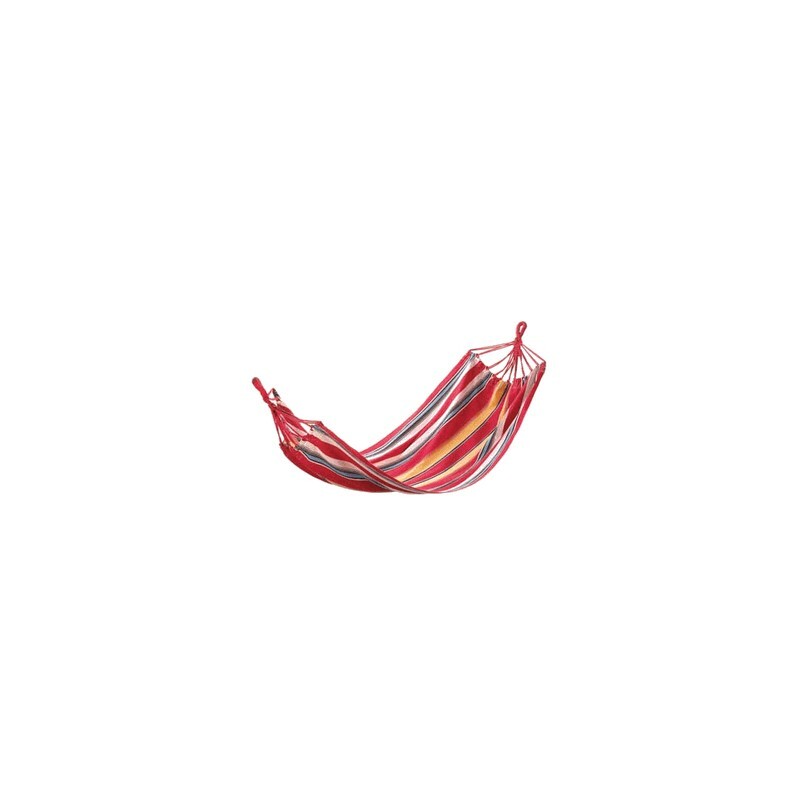 Add some sunny color to your backyard and bask in the sunshine or the shade with this lovely cotton hammock. 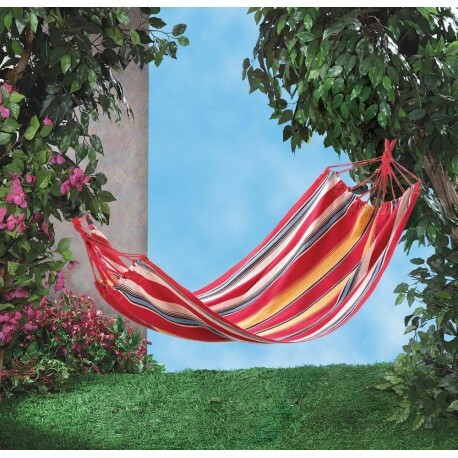 Striped with vivid colors, this relaxation station is sure to be a hit with the entire family. 37.5" x 104" long. 65% Cotton, 35% Polyester.